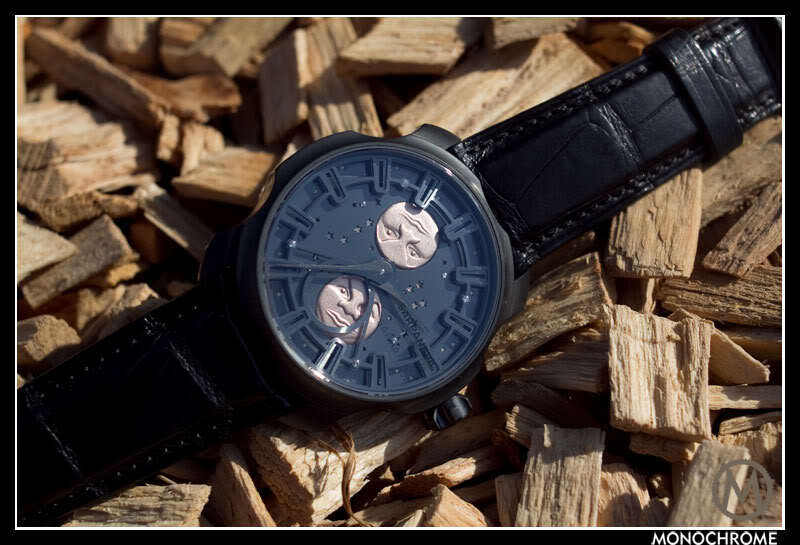 Stepan's bold style and signature moon complication, combined with a traditional dial. Let’s face it. 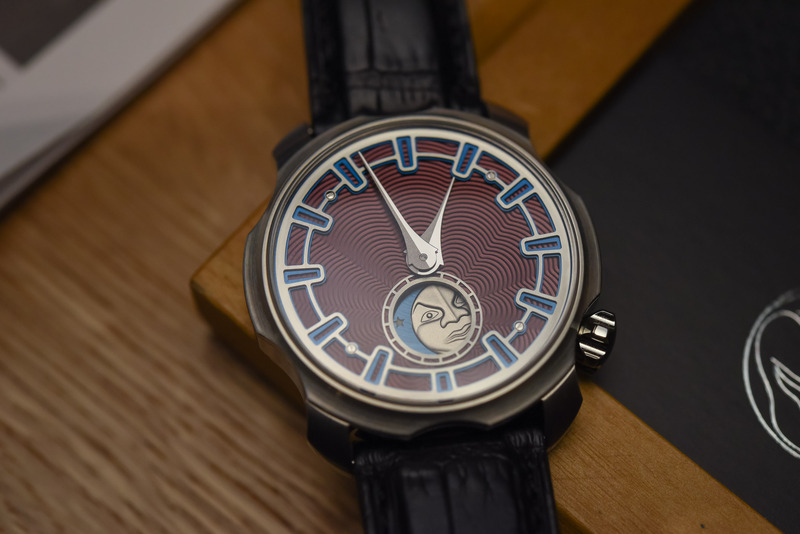 For the past few months we’ve neglected the independent watchmakers… This was part of the DNA of MONOCHROME since its inception, so as a mea culpa before the summer break, the editorial team has decided to bring some of these cool, unique and creative watches under the spotlight. My choice of the day: a truly fascinating piece, the Sarpaneva K3 Northern Stars with a completely unusual old-rose colour guilloché dial. Obviously, this isn’t a brand new watch. 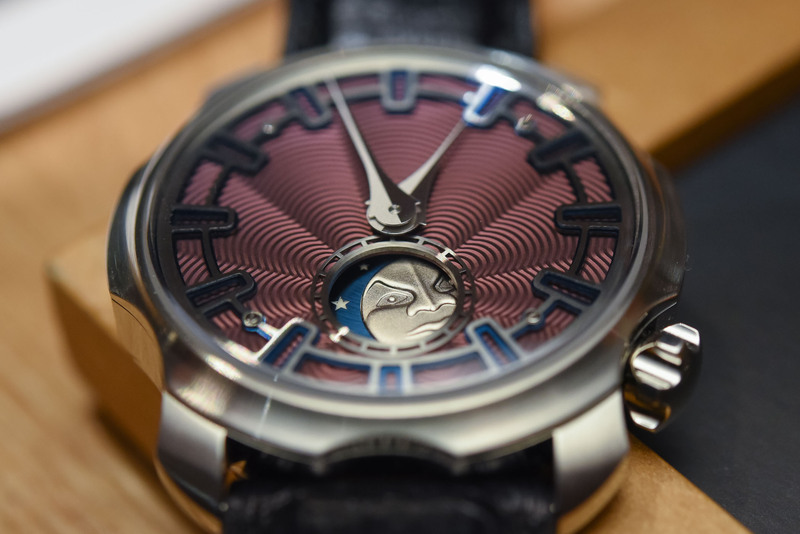 The Sarpaneva K3 Northern Star was introduced back at Baselworld 2011. Does that change anything about the appeal of this watch? Certainly not – no one ever complained about the 60-year-old Speedmaster, right? However, today’s version is rather different from the model introduced seven years ago. Certainly, the basics are here and all the signature elements that make this watch a true Sarpaneva have been included. But Stepan has added a twist to an already very twisty watch. As is often the case with watches created by independent watchmakers, they have a true soul, they are the direct expression of the man/woman behind the brand. This means that most of the time it is a sort of “love or hate” situation. Stepan’s watches are exactly that. Even though they are far from the complexity of an MB&F or a Urwerk, his relatively simple watches are immediately recognisable – really, half a second is sufficient to know what you’re looking at across the room. As bold and infused with a unique DNA as they are, Sarpaneva’s watches deserve to be examined, considering the incredible amount of detail in their design. 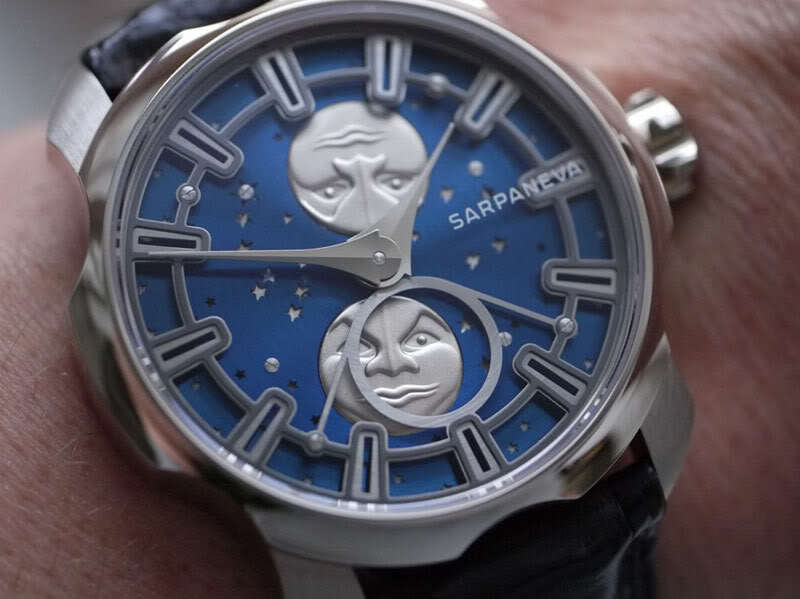 The Sarpaneva K3 Northern Stars has seen multiple iterations: blue dial, DLC-coated, white gold, monochromatic or even paved with diamonds. Needless to say, custom-made is part of the appeal of these independent watchmakers. 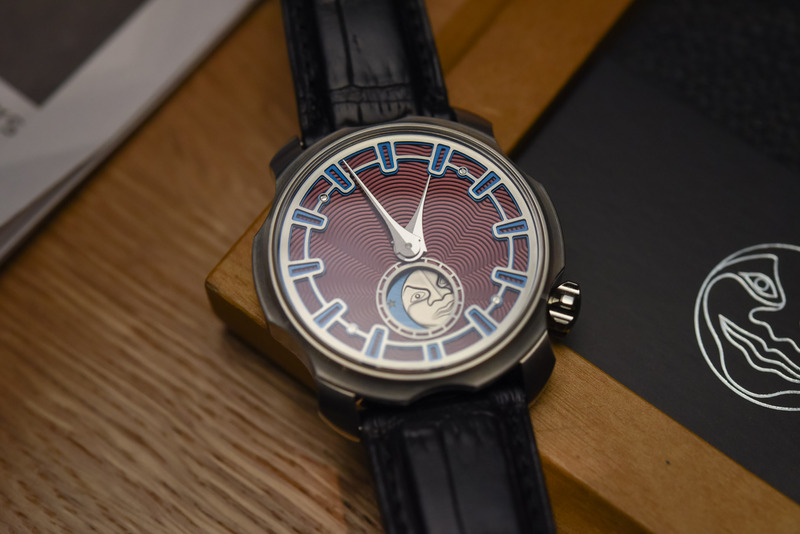 However, the base has always been the same: a 42mm “Korona” case, a highly modified Soprod movement and an opened dial revealing a double moon complication. This is why the watch we have today feels like a brand new model. The base is the Korona case. Here it is made of steel (but most materials can be considered), and measures 42mm in diameter. What feels unique is the design of the case: sharp, tormented, scalloped, combining sharp angles and smooth curves, with recesses and protruding parts… In short, the Korona case is special, different, immediately recognisable and, surprisingly easy on the wrist. It’s only when you observe it closely that it reveals its complexity. Otherwise, it remains relatively discreet and thin. Furthermore, the lugs are short and curved making it a possible daily-beater watch – ask Frank about it, he can testify. While we all know that creating an in-house movement is sort of a must for independent watchmakers, Sarpaneva relies on a well-known Soprod ébauche for most of his creations – even though in a few months he will have a watch with its first in-house developed movement. 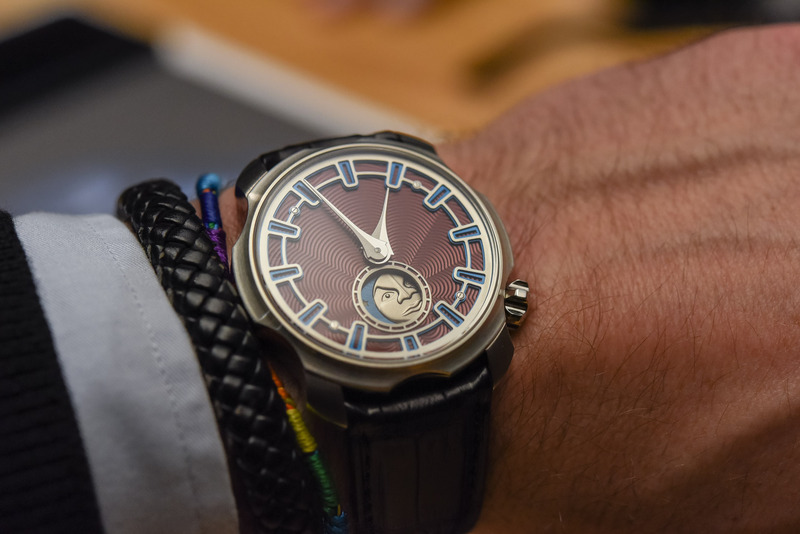 This allows him to offer unique pieces at a price that is still (almost) accessible and to focus instead on what we all love about his watches: the moon phase complication. 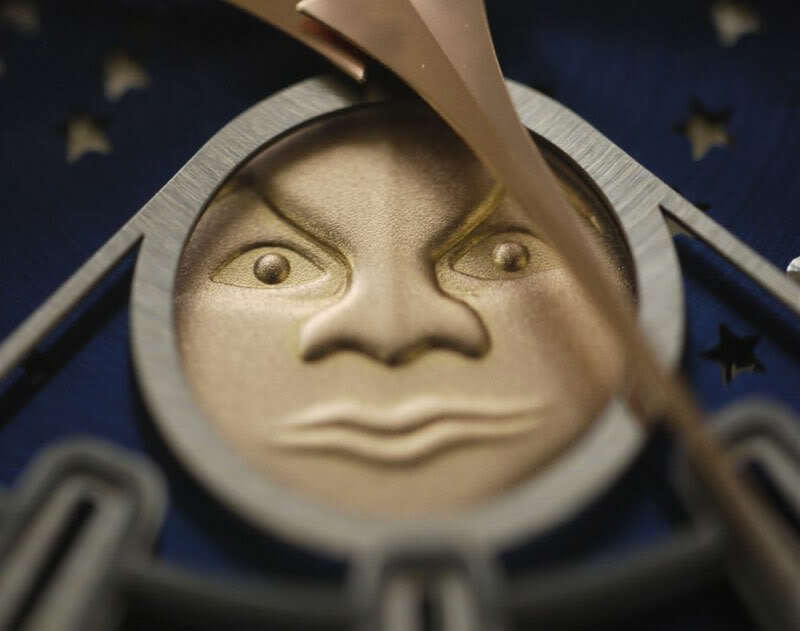 Together with the stylised moon face (which is actually Stepan’s favourite facial expression), the moon complication is a signature element of most of his watches. 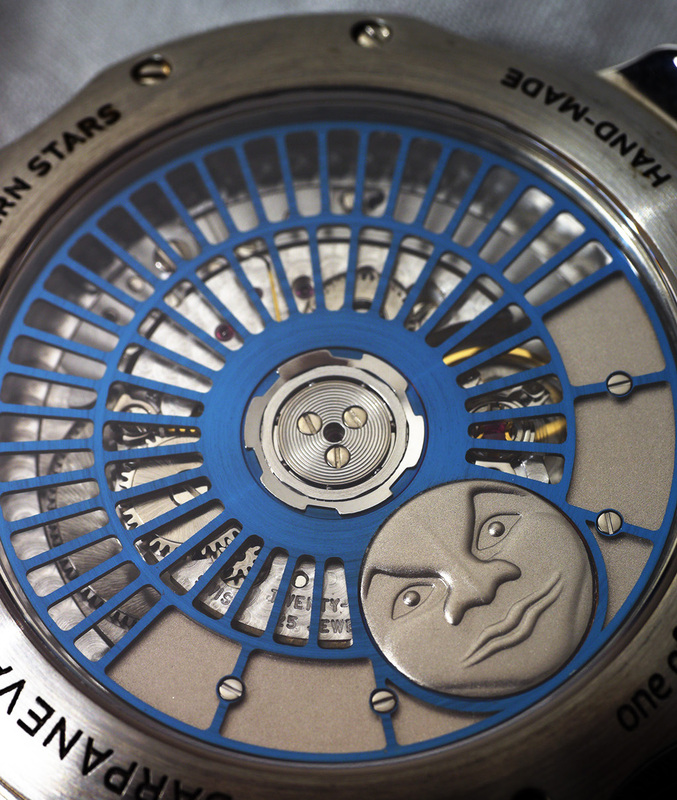 The K3 Northern Stars started its life with a module on top displaying two moon faces, with the current age of the moon being displayed in a floating ring at 6 o’clock. These moons were applied on a large disc covering the entire surface of the dial, itself punctuated with stars. On the periphery of the dial was an openworked chapter ring indicating the hours. 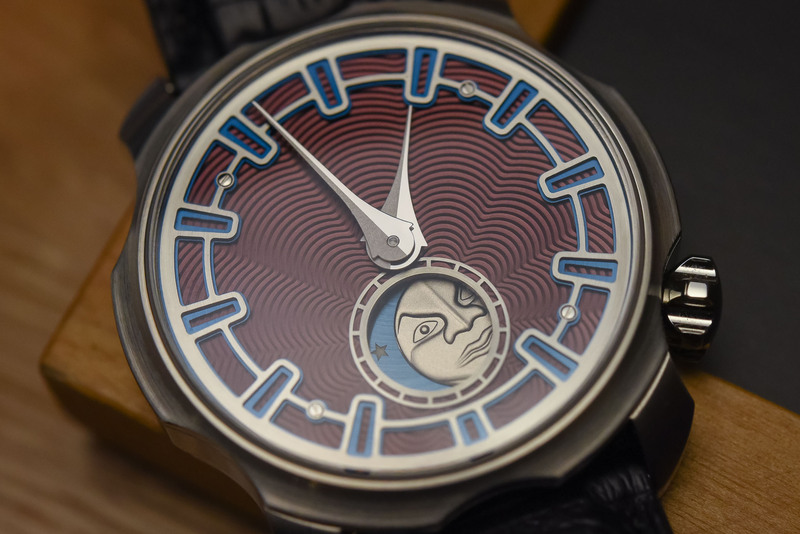 While technically identical, the new Sarpaneva K3 Northern Stars Guilloché (which exists in various versions, with several motifs or colours, or even with an enamel plate) features a full dial with a nice guilloché pattern concealing the double-moon complication, which is only revealed through the aperture at 6 o’clock; this, to me, drastically changes the watch (whether for better or worse, you’ll decide). The model we were able to test featured a very surprising yet pleasant colour, which has been named “old rose” by Frank. Not the most usual colour in watchmaking, but combined with the steel case, the chapter ring and the blue accents, it works really well. And after all, if you are in the market for acquiring a Sarpaneva one day, you’re certainly not shy. The dial is, as always with Sarpaneva’s watches, superbly executed – detailed, precise and reveals a great depth. The guilloché plate is manufactured by Comblémine, a company owned by Kari Voutilainen. The hands, showing Sarpaneva’s signature two-tone decoration, are also a pleasure to contemplate. 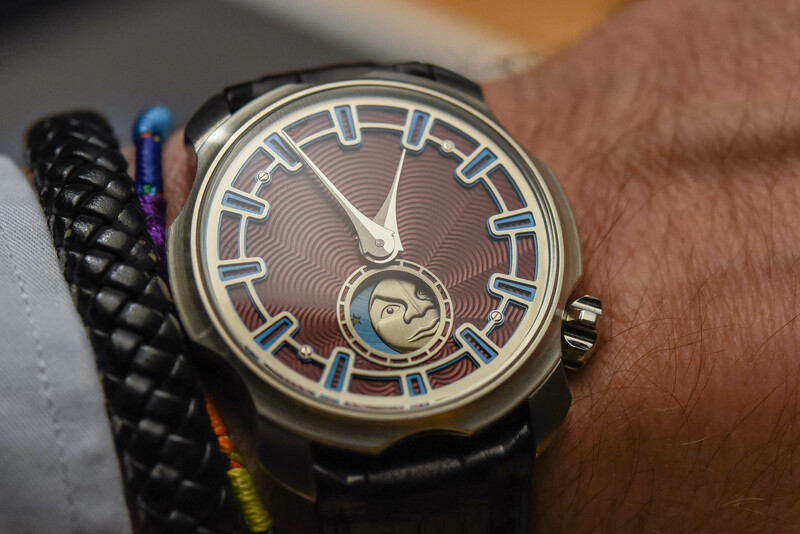 The back (the photo above shows another version, as the watch we had wasn’t entirely finished) shows Stepan’s super-detailed steel skeletonised rotor and moon face. Underneath is the out-sourced Soprod A10 (basically an ETA clone), which has been entirely decorated with perlage on the plate and bridges. Specifications are standard, with a 4Hz frequency and a 42h power reserve – but that’s clearly not the reason why you should consider a Sarpaneva or not. 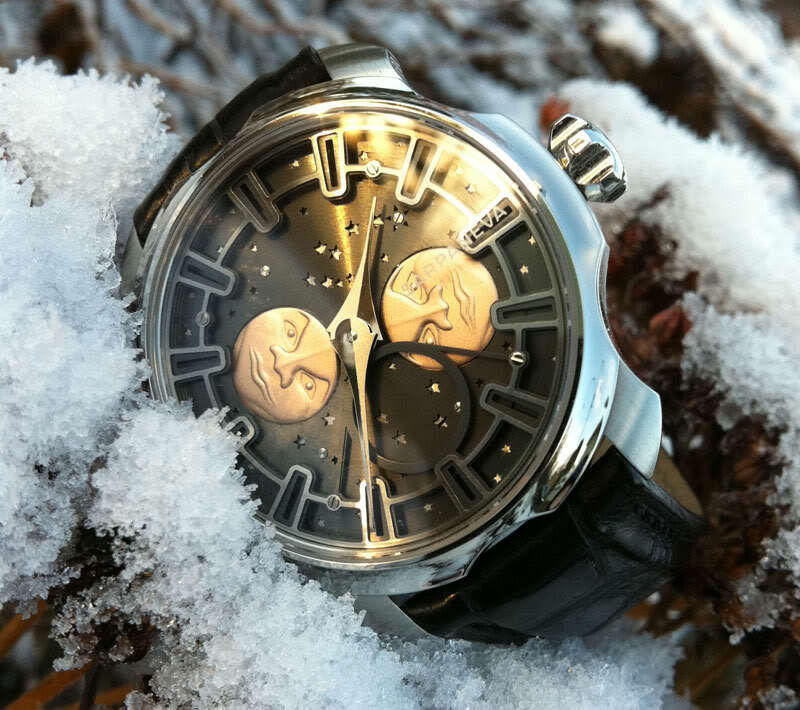 The Sarpaneva K3 Northern Stars with this original guilloché dial is truly appealing. If the model itself is one of Stepan’s classics, it feels new to me and totally different. Since each model is unique, it is hard to give an exact price – but consider around EUR 20,000. The dial is lovely – the ‘old rose’ colour being very close to burgundy, which I adore: and the hands are beautiful. The hour markers are just too…oppressive for my personal taste, though. I agree, very nice watch but nothing ground breaking. In terms of the price, even at 50% below suggested price it is madness. This watch is unfortunately likely to tank 70% upon purchasing it. A quick correction on the pricing, it is closer to Eur14,000 in steel, gold cases on the other hand jump up over the number you mentioned. “Works really well” the dial color, hands and crown, but too much for my budget. So stylized I shouldn’t like it as much as I do. It must be the color, that rose and blue are amazing together, even if the hour markers will take some getting used to. 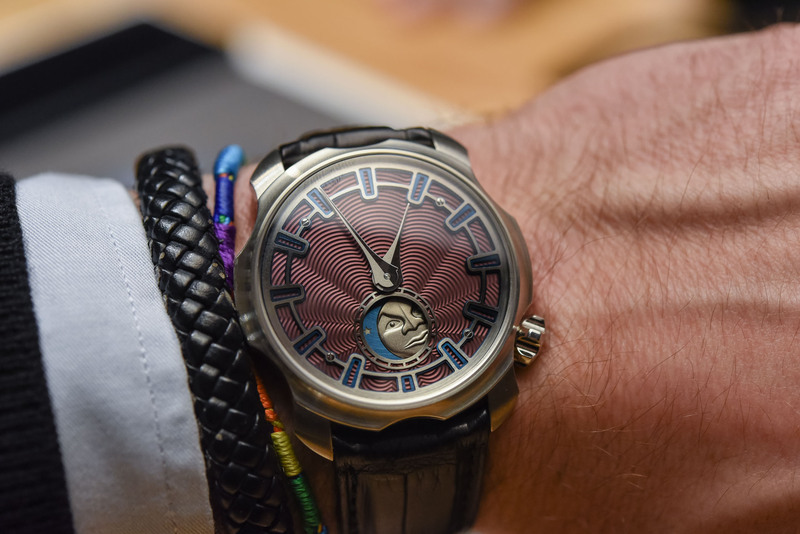 I truly love the hands and the really dimensional moonphase. In this case, the guilloche is truly complimentary and such a bold risk, I must applaud Sarpeneva for its courage. I think this can be a knock around, and if you value originality with clear and unashamed style aesthetics but wouldn’t wear urewerk if your life depended on it, this watch fits. Very nice. It’s not often you see a new handset that works. The hour hand is the sillhouette of Concorde! That said, it is far, far, faaaar too expensive. Drop in a JLC or GS movement for the same price and we’ll talk. I would say that for this watch to be worth anything like the suggested pricing, it should at least have a beautifully modified 6498 on display. The case is interesting as is the dial, but that little movement all covered up like that is a disappointment.